Because of the high destruction rate of the red blood cells, there will be a high concentration of bilirubin, one of the waste products of red blood cell destruction. Bilirubin is a yellow pigment that normally is destroyed in the liver. But when there’s too much bilirubin in the body, it will deposit in fatty tissues like the skin (called “icterus”) and the eye (called “icterus sclerae”), causing jaundice. 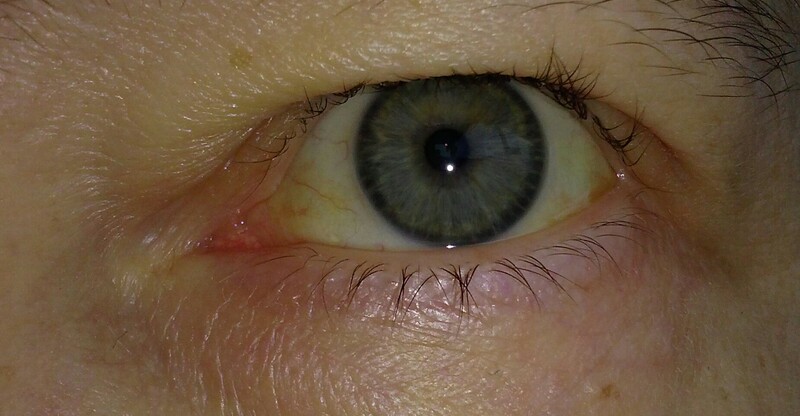 This jaundice shouldn’t be confused with the jaundice caused by liver problems, because it won’t provoke any itches and there won’t be any bilirubin in the urine. “Unconjugated bilirubin concentration is very often increased, but usually <85 lmol/l, and may show a slight rise after splenectomy. In the presence of higher levels, a concomitant Gilbert’s syndrome should be suspected” (Sampietro et al, 2003). Since the anemia is inherited, the jaundice often shows with the newborn. When the anemia and jaundice are very severe, doctors might fear a “kernicterus”. The term “kernicterus” refers to the presence of bilirubin in the brain, which can cause brain damage. Newborn are especially at risk for kernicterus because the bilirubin can move more easily to the brain. Patients with Pyruvate Kinase Deficiency don’t always suffer from jaundice. 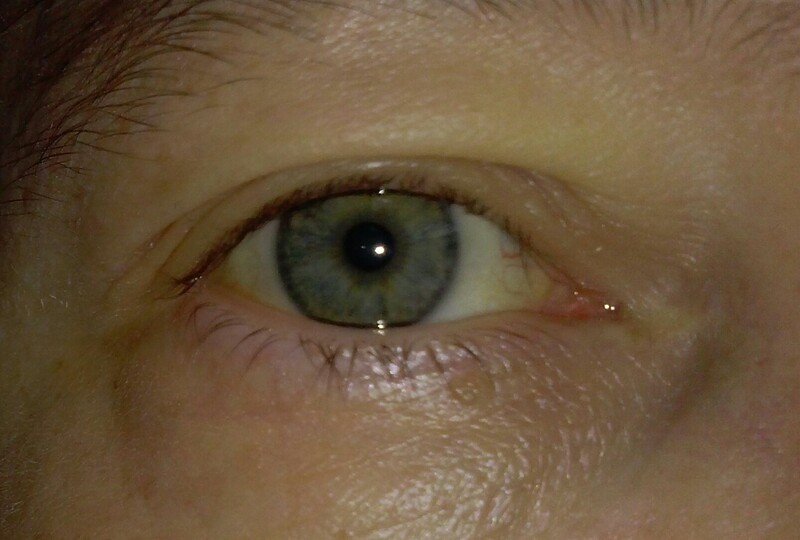 Sometimes only the white of the eyes will have a slightly yellow color.